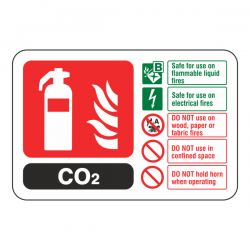 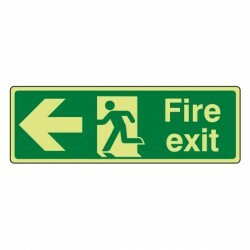 Our Fire Safety signage includes Extinguisher ID, Fire Action, Fire Exit, Fire Equipment, Fire Assembly and more. 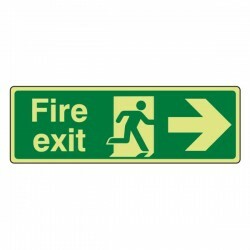 Also included is our range of "Glow in the Dark' Photoluminescent safety signs. 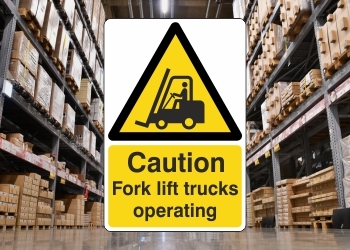 Being members the HSSA, you can be assured all our safety signs meet current legislation. 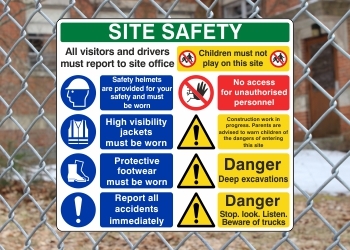 Large range of construction and site safety signage to meet all your on site health and safety needs. 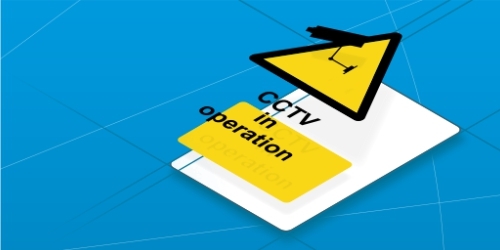 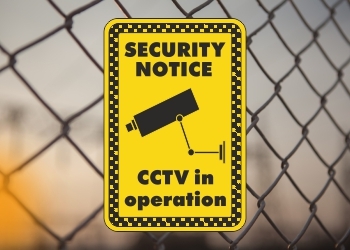 Under the Data Protection Act 1998, CCTV systems situated at work, or in a public place, must clearly display a sign stating that images of visitors, staff and the public are being recorded. 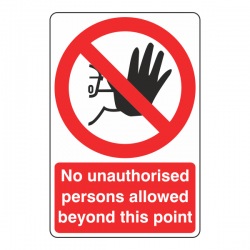 Our large range of CCTV and security signage has been designed make sure you comply. 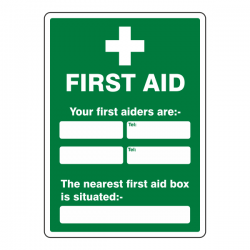 Ensure first aid procedures are followed, and equipment are easily located, with our large selection of First Aid Safety Signs & Posters. 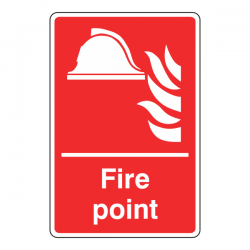 Established in 2002 and with over 25 years of experience in the print and design industry, Lasting Impressions is a health and safety sign manufacturer and supply company based in Dorset, South West of England who sells online at great prices. 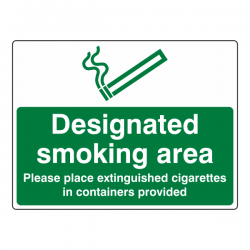 From no smoking and first aid to fire safety, prohibition, mandatory and warning signs, as well as information, construction and multi-hazard signs, you can get it all at Lasting Impressions, UK. 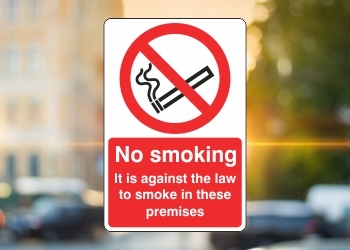 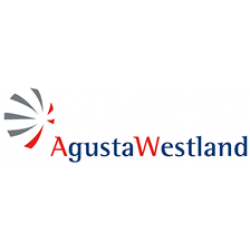 We are an online UK supplier of an array of signage using a variety of materials, including self-adhesive vinyl, high impact polystyrene plastic (HIPs), alupanel and photoluminescent plastic, allowing you to choose a material that best suits your needs. 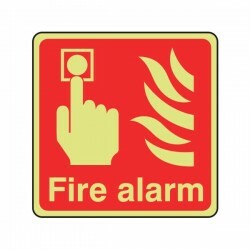 If you need bespoke signage, we have the manufacture and design team and equipment to supply to your needs. 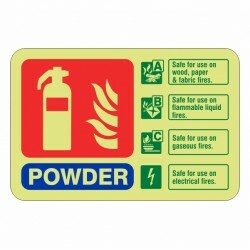 We have the perfect safety signs, hazard signs and warning notices for health and safety, emergencies and much more. 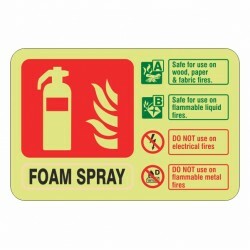 You can trust us to manufacture and supply the highest quality, low maintenance, safety signage at competitive prices. 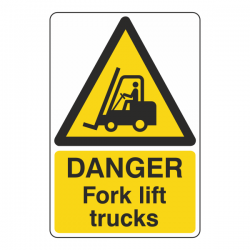 We have over 150,000 signs in stock, enabling us to dispatch the majority of orders in less than 48 hours across the UK. 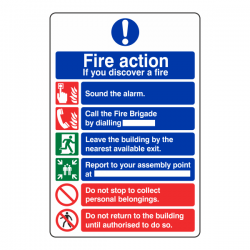 We are a signage manufacturer and supplier you know you can count on to deliver each and every time. 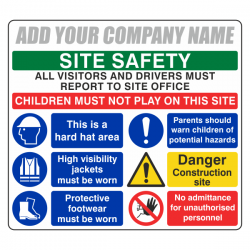 Starting out with two business partners in 2002, Lasting Impressions has continually expanded over the years and have manufactured and supplied safety signs online to companies, hospitals and schools throughout the UK. 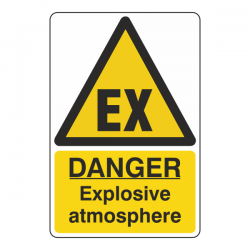 I have always found Lasting Impressions to be helpful, professional and flexible in their approach. 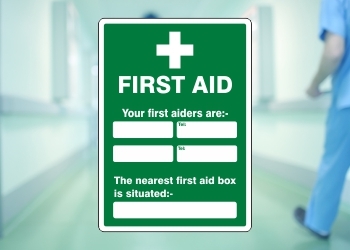 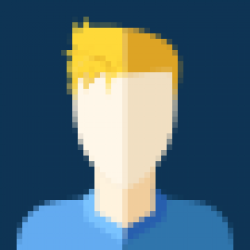 Bespoke designs are never a problem, and they are always competitive when it comes to pricing. 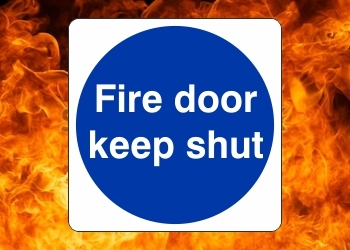 Always polite, efficient and accommodating. 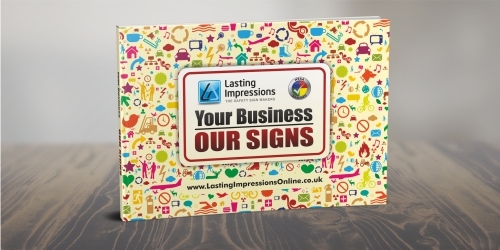 Lasting Impressions have been an absolute pleasure to work with.